A Source of Inspiration from Outer Space. Jobedu always seeks to celebrate the richness of culture and the influences that inspire us to create and innovate. One such source of inspiration is a publication from Lebanon in the seventies and eighties called “Ma Wara2 Al Kawn” or “From Beyond the Universe” published by The Magic Carpet Institute. 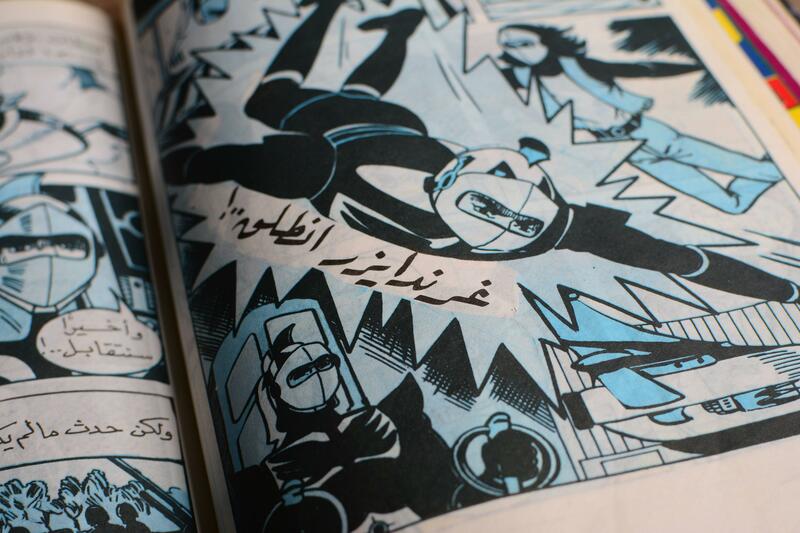 The monthly hardcover publication brought to Arab audiences dozens of translated comics from all over the world in each edition. 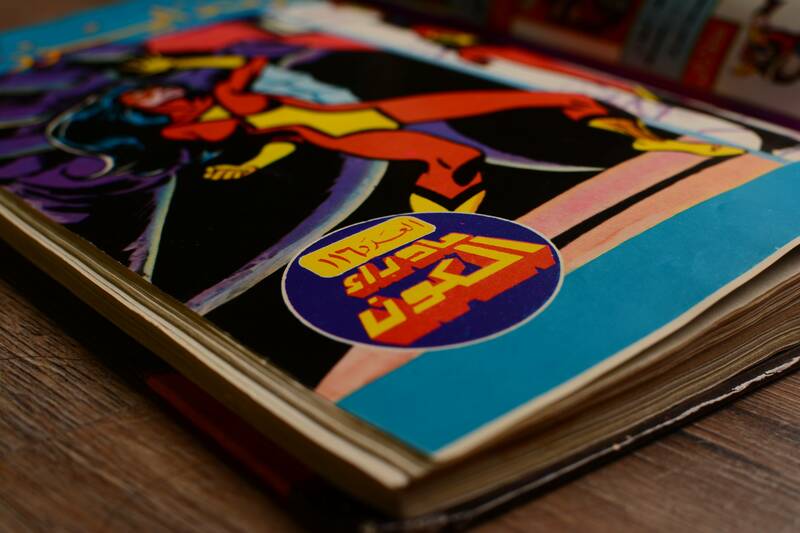 From UFO-Robo Grendizer, to Spiderman, to Thor, to Star Trek, to Star Wars, It was the Arab youth’s portal to global pop culture icons. 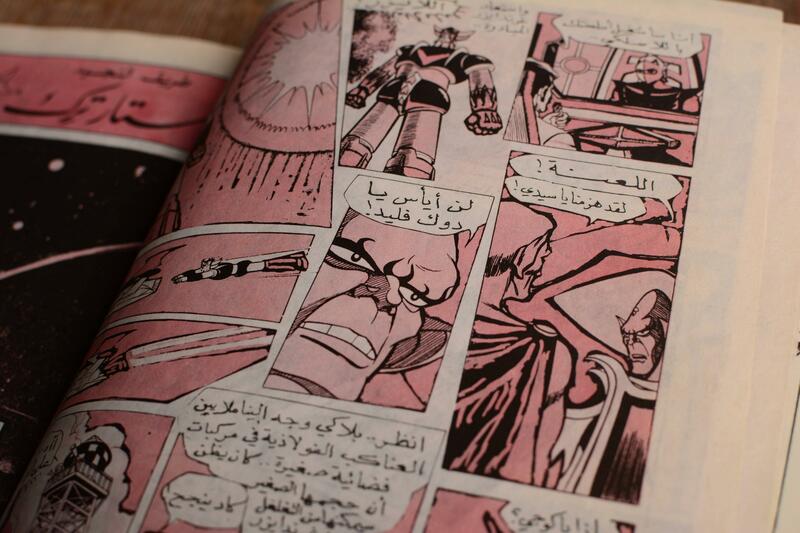 Every house in the Arab world at the time had stacks and stacks of those comics which were the backdrops of their childhood. Sadly, the Magic Carpet Institute went out of business in 1982 due to financial reasons and the civil war in Lebanon and with it the comic digest seized to exist. Good news was our friend Abdel Qader Miqdadi kept a copy of “From Beyond the Universe” from back in the day and with the help of Mothanna Hussein we created a collection of designs from the richness of its pages. 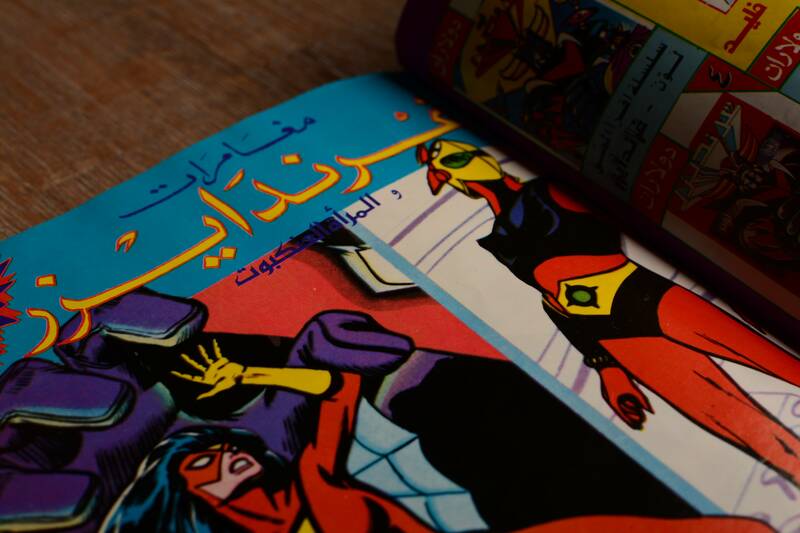 This collection is dedicated to the publication that dedicates its time and resources to exposing Arab youth to global pop culture awesomeness. Get your “From Outer Space” t-shirts, sketchbooks, beach towels, and much much more from our booth at this year’s Middle East Film and Comic Con, online, our stores in Amman, Virgin Megastores throughout the region and everywhere else that carries Jobedu products.